Wine or Liquor Bottle Caddie or Table top Presentation Box with hatch lid. 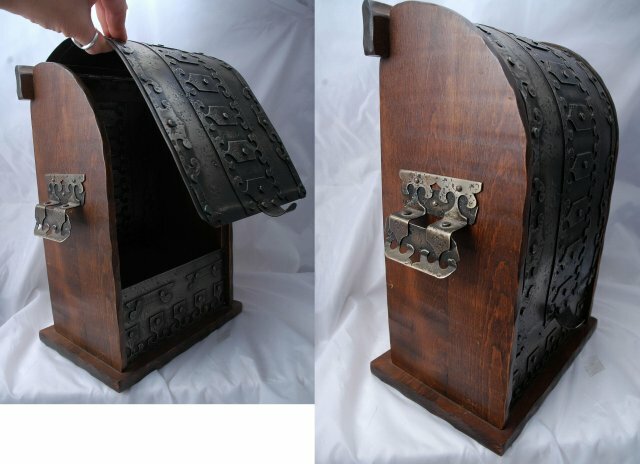 It is Old made in France of Metal and Wood. It is very unusual. 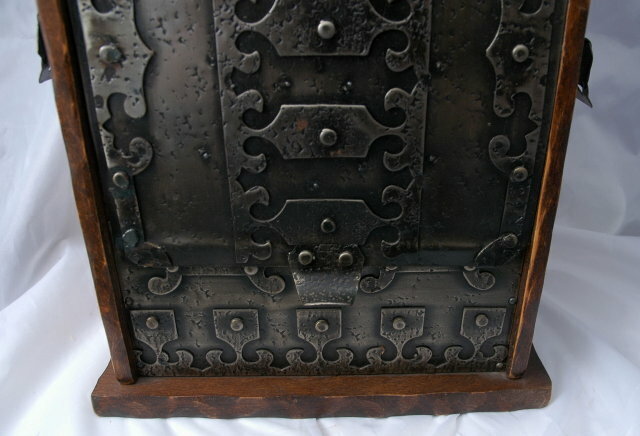 The metal work looks like something you would see in a Medieval castle gate. 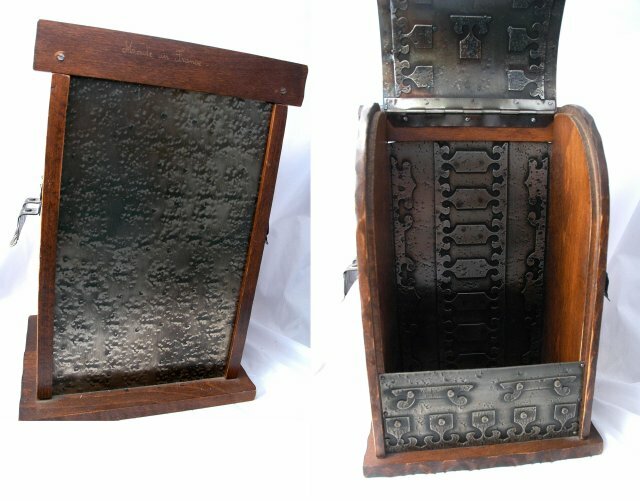 It is hand crafted and etched in the wood "Made in France" . The wood is solid and nicely finished. 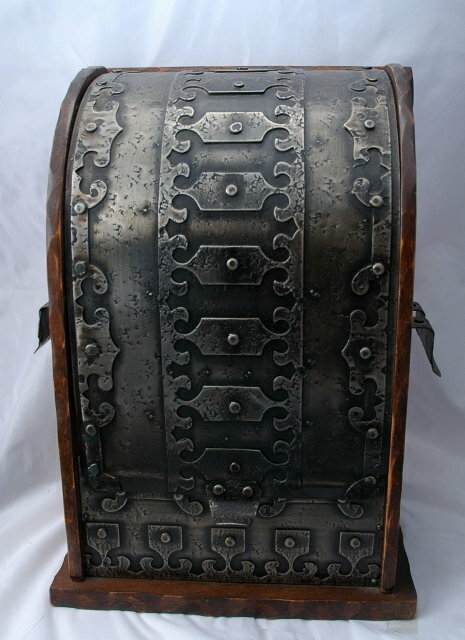 The measurements are 14 x 5.5 x 8"
Items Similar To "Medieval French Metal Wood Wine or Liquor Bottle Cellarette Tote..."